WHO:<br>We are looking for a part time Social Media Coordinator (a new role for us!) to work 3 days a week, ideally from our office in central Bath. Reporting to the Digital Marketing Manager, the successful candidate will be responsible for the creation of day-to-day brand-focused content across all social platforms including; Facebook, Twitter, Instagram and LinkedIn. <br><br>THEY SHOULD:<br>- Be self-motivated, proactive and a multi-tasker<br>- Have the ability to be agile when working with different brands, adapting tone of voice and content accordingly<br>- Have strong copy writing and communication skills <br>- Have an understanding of best practices and emerging trends within the digital / social space<br>- Have proven success on all key platforms at either personal or commercial level<br>- Ideally have experience within the hospitality or food & drink industry<br><br>WE WANT SOMEONE:<br>- Ambitious; keen to learn and who wants to develop their experience<br>- That's not afraid to be creative but also doesn’t fear analytics and data<br>- Who has a positive outlook and is fun!<br>- Driven by successful achievement of targets<br><br>WHERE:<br>Most of our central support team for Andrew Brownsword Hotels and ABode hotels use our beautiful town house office in central Bath as a hub but are always out and about in our hotels too. It is a great location to work from and meet the central team but, depending on your role, you are just as likely to see most of the team on their travels in our properties too.<br><br>WE WANT WORK TO BE A PLEASURE<br>We’re a people business — our success relies on the skills and happiness of every one of our team. That’s why we invest in your training and development and promote from within. We depend on your personality and enthusiasm for hospitality… and we offer all sorts in return. We must be doing things right — we were recently awarded AA Hotel Group of the Year.<br>We can offer careers across our collection of hotels ... or just a great place to work locally. For some senior roles, we may look for relevant experience, but for other jobs we just want the right character and attitude— we’ll teach you the rest.<br><br>AND…OUR TEAMS GET:<br>- Amazing staff rates at our hotels for themselves, friends and family, as well as great food and beverage discounts <br>- Access to our employee benefits and engagement platform and other performance, loyalty and fun -related perks!<br>- Access to our Employee Assistance Programme, which is on hand to provide personal help and support if and when it’s needed<br>- Amazing office space in Central Bath, and great team get togethers! 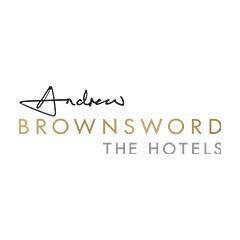 Andrew Brownsword Hotels Marketing is posting their hospitality jobs on Harri.